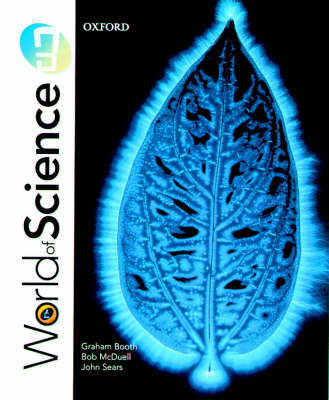 "World of Science" is ideal for teaching mixed-ability classes. Each students' book is differentiated into three main levels with a molecule symbol denoting the demand each task places on the student. The content-based approach ensures that a unit covers all the student needs to know for exam success and has the information needed for homework. Biology, physics and chemistry chapters and pages are color-coded for ease of identification should you wish to teach by subject specialism. Language level is tightly controlled for ease of understanding and key terms are highlighted in bold. It includes graded questions on each page and separate information pages for homework; course summaries which can be used as a checklist to identify areas that may need more work or as a resource for revision; self tests divided into Foundation and Higher level for homework or assessment in class; and focus on longer, more open-ended project work for the summer term of Year 9.